No doors, no problem. Closed closets are fine for storing the majority of your wardrobe, but bring special items that deserve display out into the open and rack'em up! Clothes racks are practically a prerequisite among the fashion set for styling oneself. I mean, how could one possibly pack for fashion week without being able to clearly edit à la Rachel Zoe?! 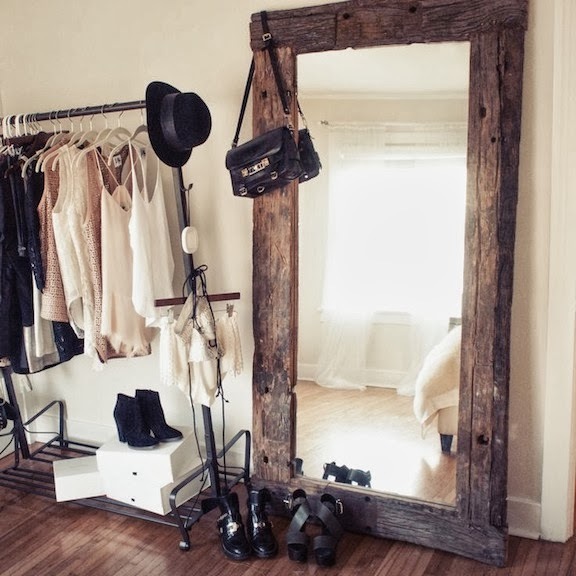 Use an open clothing rack to help organize your outfits for the week or to remind you of special pieces you want to wear. 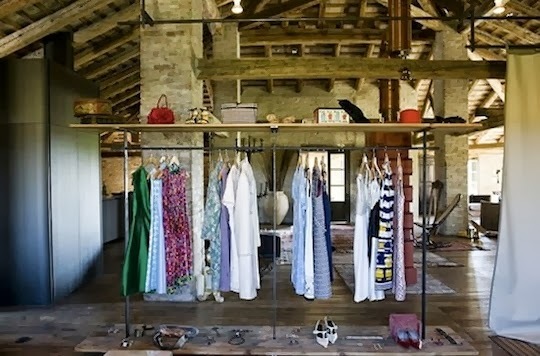 Pair a rack next to a large mirror for some drama or even use it as a room divider like the converted Italian flour mill below did. I love the idea of having a closet rack in my room, but I just don't have the space. In my dream home office, I'll have two! 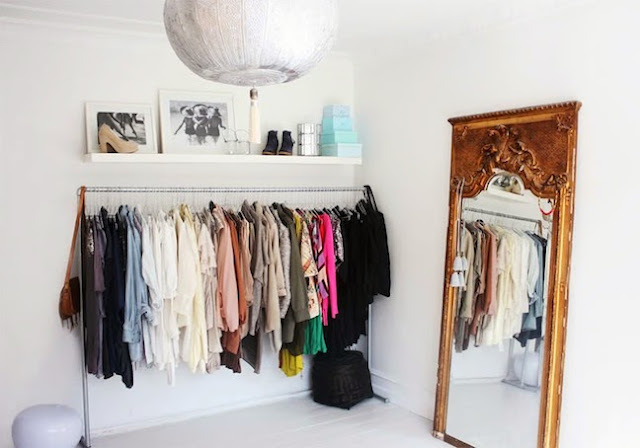 I'm right there with you on having clothing racks in my dream home office! Used to do this!!! Love the pics.